Graham Potter is the latest recruit to the site. 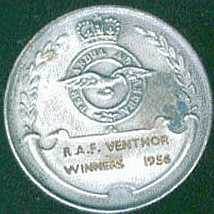 He was at Ventnor from late 1956 until March 1958 doing his National Service. Sqn Ldr Deytrich was still CO when he was first there. Graham was the only "accounts" person there (his misfortune as he had qualified as an accountant before conscription), and was at the weekly pay parades at both admin and "Topsite" usually with Flt Lt "Tiger" Houghton, who was the Adjutant. He called the names from the pay list, "last three" would be returned, and "Tiger" then handed over the cash. Thus he had some contact with all the people there. Others remembered are Flying Officer Passby, W/O "Tubby" Barham (i/c cookhouse), Flt Sgt Fitton, who was posted to Beachy Head, and Flt Sgt Hoper, who he thinks replaced Flt Sgt Fitton. Also remembered are Cpl Norman Lock, an RAF Provost Policeman. Graham was at the Battle of Britain Parade in September 1957, where there were two bands, one RAF and the second Air Cadets. The first part of the parade went well, then the cadet band took over, resulting in complete chaos as their timing was completely different to the RAF band, causing the parade to go completely out of step. In later years Graham saw F/O Passby refereering a Southern League Football game. David Passby The only officer who served at Ventnor to turn out on our parade. He arrived at Ventnor in 1955 to be the Education Officer and spent three years there. He was as suggested by Graham Potter keenly interested in sport and during his time the RAF Ventnor soccer team twice gained promotion in the local leagues. David went on to have a full career in the service, teaching at many locations both at home and abroad and achieving the rank of Squadron Leader. 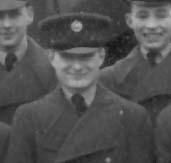 Brian Simmons An SAC operator who served at Ventnor throughout 1957. We hope to hear more from Brian.